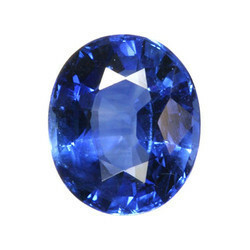 Our product range includes a wide range of 6.25 ratti blue sapphire cylone neelam stone natural gemstone. Professions: Divya Shakti Blue Sapphire / Neelam is suppose to have great positive effects on Surgeons, Doctors, Mechanical Engineers, Scientists, Astrologers, Writers, Soldiers, Archeologists, Politicians, Lawyers, Businessmen, Dancers, Actors, and people related to Glamour Industry. Benefits: It removes all negativity from life..and built Confidence. It is said to give mental Stability, Tranquility, Spiritual Enlightenment, protects against danger of any form, Wealth, Good Name, long life, prosperity and good children. If it suits you then it can bring major change of fortunes and luck. Recommended for Evil effects of Planet Saturn.